Ever since the beginning, the gambling industry has utilized technological methods to ensure its relevance and accessibility. Innovation in technology has been the main driver of gambling advancement. As a result, today it is easier to gamble than ever before. Every smartphone in the world is essentially a virtual casino. While a substantial chunk of the gambling industry is digital in nature, many cities and towns still have brick and mortar casinos. While this may be the case, these physical casinos still have digital gambling machines. They provide deliver convenience, high odds and ease of use. As a result of this combination, they have attracted gamblers in droves and generated ample controversy. They are even being described as the “crack cocaine of gambling.” To protect the vulnerable gamblers, the industry has enacted some best practice principles. Here are some of the technologies that are currently transforming the gambling industry. The rapid rise and adoption of the Internet has forced the gambling industry to adapt dramatically. Fortunately for many players, it has transformed itself quite skillfully. Fundamentally, gambling involves making simple calculations and the implementation of chance on a random basis. With this mind, computers have been utilized to create these conditions easily and effectively. In any online gambling game, only a small amount of information needs to be exchanged between a server and the player. As a result, Internet-based gambling was easy to perform even in the earliest days of the Internet. When online gambling hit the mainstream, there were some concerns that it would cause a case of gambling addiction in people’s homes. Fortunately, this did not happen. The most common form of online gambling is poker. This game grabbed the attention of online gamblers and kept them glued to their screens. Varieties such as Texas Hold’Em among other types of poker have been digitally developed. Over time, digital versions of other casino games were created. In addition to that, digital versions of scratch cards were developed as well. 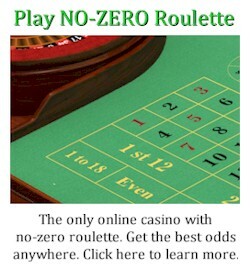 In the beginning, many customers were afraid of gambling on the Internet. They were fearful that hackers would break into online casinos, fix the games and end up swindling players. However, online casinos have proven that they are resilient against efforts to hack their systems for the purpose of fraudulent gaming. Despite this, there are some cases of hackers gaining access to online casino servers and wrecking havoc. Regardless, online casinos have led the charge in creating encryption and other methods to ensure that their players are safe. The emergence of smartphones made gambling fully portable. Today, you can whip out your smartphone and gamble from literally anywhere at all. The gambling service is delivered to you through web browsers and dedicated applications. What’s more, you can play literally any casino game that you desire right through your smartphone. By using your device, it is possible to download an app for a specific casino game. You can also access websites that contain virtual casinos. As a matter of fact, online casino websites are currently being adapted to have versions which are compatible with mobile devices. These versions are automatically delivered to smartphone gamblers upon request. As technology has evolved, the types of security threats to casinos have also changed. These threats have become very sophisticated. For example, a gang in Asia used a tiny fibre optic, computerized camera in casinos. The camera would be pointed towards a deck of cards as they were being dealt. It would record the riffle and transmit the images to the gang. With this information, they would know in which order the cards were going to be dealt. 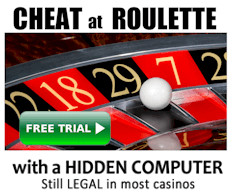 Along with technological advancement, casinos have also adjusted their approach to identifying cheats. Today, there are cameras which have an Artificial Intelligence (AI) system embedded in them. It can identify if a player’s behavior is suspicious or not. With this feedback, the floor manager and security officer can pull a player off the tables if they seem prone to cheating. Casinos have also incorporated security features such as facial recognition. This is a facility which allows them to view and screen every customer who walks into a physical casino establishment. They also use Radio-Frequency Identification (RFID) chips. They help to track cards, chips and other elements within the casino. Access within the physical casinos needs to be controlled for security reasons. As such, these establishments make use of proximity sensors. Examples of these are Bluetooth chips. By using this infrastructure, physical casinos can allow access to customers that have fulfilled certain conditions such as having invested in a game or paid the entrance fee. Monitoring the gaming floor is a very important element in modern casino game. Here, there are many casinos that utilize facial recognition chips for the purpose of spotting VIP guests. In this way, these guests can receive guidance towards games and services which boost their bets. They also use monitoring technology to identify card counters. By using a combination of high-tech cameras and RFID chips, modern casinos can see how much money is currently on the tables and also discover the overall flow of all bets. By using these monitoring and tracking technologies, casinos can identify how players are winning in their establishments. One of the main technologies which have been adopted in the gambling industry is data modeling and predictive analytics. This technology goes well beyond having gamers download casino applications in their smartphones for virtual gaming. Instead, it actually enables the casinos to learn more about the preferences of their customers. Furthermore, analytics help the casinos to keep track of the history of their players. With this information, the casino operators can adapt and tweak their games to fit the requirements of their players. Moreover, they can use this information to provide their customers with a top quality playing experience. Casinos use computer technology to observe and analyze the players. Through a practice known as player tracking, they can record all the details about every single bet that is placed. They record the amount of every bet, the odds which are involved, the length of time that a player has been at the table and also their overall betting pattern. As a result, the casinos can create player profiles and perform risk analysis for each one. This helps the house to set their winning odds and also improve profitability in the long term. 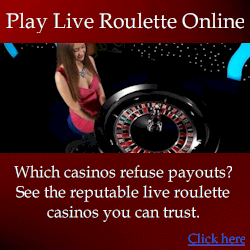 Many people head online for their gambling activity. Hence, the developers of online gambling games have made them as realistic as possible. They have integrated technologies such as 4k resolution, surround sound and live chatting as well. They have organized these online gaming platforms such that there are specific digital rooms which can be used for games such as poker, baccarat, Texas Hold’em and many more. Thanks to technology, the online slots have also been granted themes. In this way, players can pick the slots that they want based on the theme that they like. They combine graphics and sound as well. Hence, they deliver a highly realistic experience. One of the strategies which have emerged recently is mobile betting. This is a form of gambling where people can place wagers on sports and gaming events. The Gambling Commission of the UK has indicated that 43% of people around the world use mobile smartphones to place bets. As a result, casinos have even created their own betting applications. Through these digital resources, the players can receive the odds and place wagers as well. Not only do they create player loyalty, betting apps also boost revenues for modern casinos. The advent of wearable technology is here with us. Hence, casinos have quickly adapted to provide resources which enable gambling through wearable technology. As a matter of fact, there is a casino that has already developed a gambling application that can be used on the Apple smart watch. With this resource, they have brought the gambling experience as close to the customer as possible. There are many casinos that are investing in tremendous research and development for the purpose of discovering ways through which gambling can be brought to wearable technology. They are using media such as the Google Glass and smart watches. Various casinos are creating applications for these platforms. The latest technology to hit commercial consumption is Virtual Reality. Often simply referred to as VR, it allows the user to be immersed into a digital, 3 Dimensional (3D) environment. Here, they can interact with digitally created elements as though they are real. Online casinos have entered this arena by creating digital representations of their physical casinos. This way, players can access these locations and place wagers just as they would in the brick and mortar establishment. VR is an exciting new landscape which casino and online gambling companies are exploring voraciously. It is one of the most dramatic innovations to be implemented in mass gambling. This is a technology which operates very much like VR. It enables people to overlay digital elements in the real world. Using this concept, casinos can create digital hybrid environments where gamblers can literally find digital bets, slots, poker seats and much more in the environment around them. By using their smartphones as AR screens, they can explore their cities while gambling at the same time. The latest technological landscape today is known as the Blockchain. It is a digital universe that’s governed by a resource which is known as the Distributed Ledger. It allows anonymous interaction, eliminates the possibility of fraud and provides a global reach. This exceptional digital resource also creates an opportunity for the development of digital coins. Casinos have delved into the Blockchain and created apps that allow customers to interact with custom-made digital coins. The customers can buy these coins and gamble. They can proceed to receive returns in cryptocurrency or fiat currencies. Block hair gambling is highly rewarding due to the lack of fees, taxes and intermediaries. As such, it is a new arena in the field of computerized gambling. Online casinos provide their services globally. In doing so, they need immense computing power to facilitate the randomization algorithms. As such, they rely on Neural Networks to execute the algorithms. In this way, they can process billions of requests made by gamblers from all over the world. The networks allow for distributed computing. They enable the gamblers to place wagers and bets without experiencing delays in performance. In this way, the advanced technology of neural networks boosts the capability of online casinos. Online gamblers no longer have to reveal their identities. This is because they can use elements known as avatars. They are digital representations of the gamblers. By using these digital resources, they can place bets in Malaysia online casino and interact with each other without compromising their identities. Seeing as many online gamblers may want to maintain anonymity, avatars come in handy. Thanks to networking technology, gamblers from all over the world have created groups where they pool resources and place large bets. These are known as gambling pools. By using these resources, they can access high-level online gambling opportunities. Examples of these are the high roller poker tables. These gambling pools are created by pooling computing power, relaying messages through networks and much more. By relying on these cooperative gambling arrangements, players can not only improve their odds, they can increase the amounts of winnings which they get. For you to gamble, it is important to have a way through which you can get your money to the table. Modern casinos have developed money transfer strategies. Today, it is possible to deposit your wager into an online gambling account through various ways. Examples of these are cryptocurrency, VISA cards, bank wire transfers, direct deposits and many more. They allow flexible depositing and withdrawal as well. The gambling industry is always adopting innovative technological solutions. Seeing as advanced technologies such as Virtual Reality (VR), Blockchain and neural networks are already being applied; gambling possibilities in the future are literally limitless!